So Growing Talent 11 official ends today – 16 December – with all completing going into work…..
Ann beat a shortlist to be selected by MitieTDM’s managers – Anita & Michael for a role on Growing Talent. The end role was something different for Ann. As Service Solutions Assistant she would be dealing with all correspondence into and out of PwC Birmingham! A big responsibility for the MitieTDM team when you consider the value of the client’s contracts! At the very start, Ann had to travel down to London – a City she doesn’t know at all well – and stay in a hotel all week to do the Orientation Week – nail biting ! At least her peers on Growing Talent had seen each other during the various selection stages. However, Ann took it all in her stride and embraced the challenge – which is a really good attitude to get through Growing Talent!!! Of course her peers were welcoming and inclusive. After all, everyone is in the same uncertain place of little confidence mixed with unemployed status. Despite the three train journey down from Birmingham, Ann was the first to arrive – which I highlighted to the others – but then Ann doesn’t have Southern as her train operator!!!! Within an hour, everyone was laughing and joking as they worked through the challenges which comprise the Orientation Week to grow confidence. First task is the most feared – but after doing it, everyone is empowered and not so wary of the final challenge. First off is the ‘your life in pictures’ presentation. Everyone – me included – draws at least 6 key pictures to represent their story and then has to present it! Everyone is confident talking about things they know. Confidence in the workplace – and in general – comes from believing in yourself. ” I can do it’ not “I can’t’. Other workshops include personal image, what our body says about us – body language makes up a lot more of our communication than words or tone. We definitely need to watch any little habits that we may not even be conscious of. We do situation case studies, support gap analysis, assertiveness investigation, quick fire presentation and the final one – the Social Enterprise. This is the most nerve-racking carried out on the final day. All Growing Talent Associates have to devise an idea that benefits a communication and has a revenue stream. They then present this to a panel of senior managers from the employers and partners who can ask questions!!! Despite any apprehension, Ann contributed well to everything and encouraged the others. Back on site with MitieTDM she quickly learnt all aspects and responsibilities of the vacant role under Michael and the team’s guidance. With her confidence growing daily, Ann returned to London for the Holistic week embracing all workshops from the finance roundtable, mental health and well being to the art class. Liliana, Amy and Julian took Ann on a tour of Piccadilly after their task at the National Gallery. 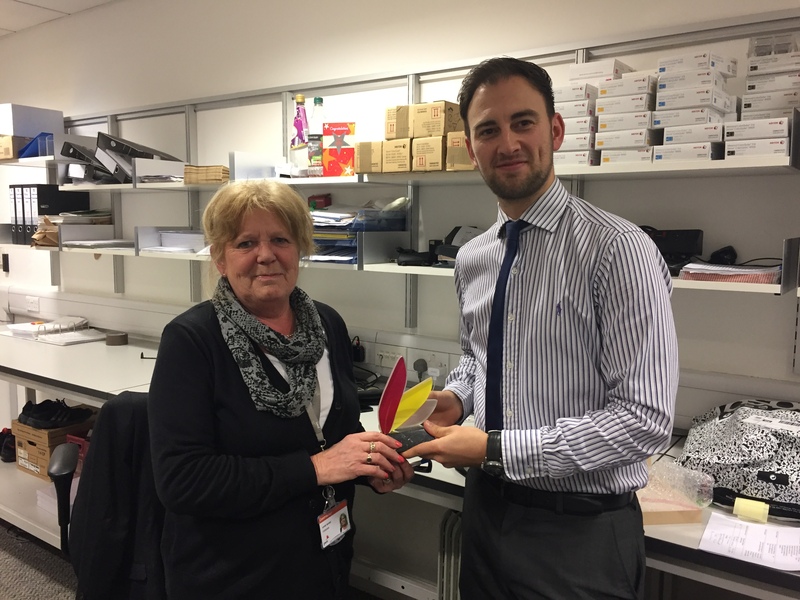 Unable to attend the formal graduation in London next week, we sent the glass and marble trophy up to Ann where Michael presented it during a team talk. So what does Ann think of Growing Talent? For more information on Growing Talent check out http://www.growing-talent.co.uk. Growing Talent 12 starts 12 January 2017. Next Swearing allegiance – will it deliver inclusivity?